Since the Reform of 1999 compulsory education in Poland starts at the age of five or six for the 0 class of kindergarten. Children start the 1st grade of primary school at the age of 6 or 7. Compulsory education lasts 9 years: After 6 years of primary education, pupils pass their exam of primary education and join the gymnasium for 3 years (lower secondary education). Then they take another compulsory exam. There are several alternatives from then on, the most common is studying for three years in a liceum or four years in a technical secondary school. Both end with a maturity examination and may be followed by several forms of upper education, leading to Bachelor (the Polish Bologna Process first cycle qualification), Master (the Polish Bologna Process second cycle qualification) and eventually PhD (the Polish Bologna Process third cycle qualification). The system of education in Poland allows for 22 years of continuous, uninterrupted schooling. 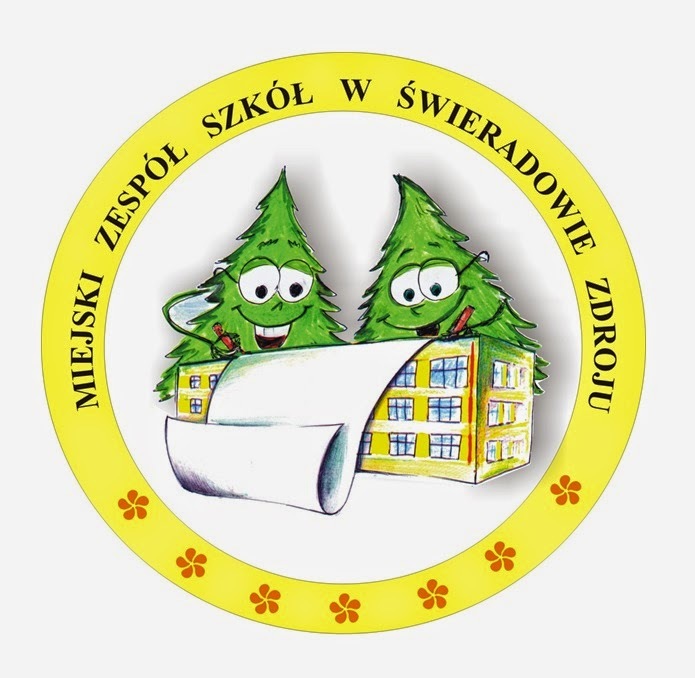 Miejski Zespół Szkół w Świeradowie –Zdroju is the complex of 3 units: kidergarten, primary school and gimnazjum. Primary school is divided into 2 cycles of 3 years. The first cycle is "integrated", with one teacher handling alone all the subjects except for foreign languages and ethics/ religion. The second cycle offers a subject-based teaching. At the end of primary school, pupils write a compulsory international competence test. If completed, the examination grants a primary-school leaving certificate. In the primary school students have to study such subjects as: Polish language, Maths, History, Science, Arts/ Music, Information Technology, Physical Education, Religion or Ethics, English language and German language. Students get marks for their work 1- 6 ( 1- the worst mark, 6- the best one). Our school is a place where studying conditions are provided for everybody. We pass the knowledge, try to develop various abilities, motivate for work. We develop students’ interests. We teach students to be tolerant and open-minded. School shows students social norms and help parents with the process of upbringing their children. School takes care of students’ development, safety and health. The school teaches how to spend the free time. It sensitizes students in terms of truth, beauty and good. One of the schools’ aims is introducing students to the world of science and culture. The school helps children when they are in difficult family or financial situation. It helps to overcome difficult educational problems. We meet with parents at the time of special meetings- once a month . then we discuss all the important matters connected with their children’s education as marks, behavior, free time activities eg. school trips, discos, parties etc. After obligatory classes children can attend extra curricular activities such as: old music classes, sport club- we emphasize on biathlon, school tourism club, computer club.